Ireland is well-known for its farming tradition. Of course, potatoes are a key ingredient in Irish cooking, and indeed have been a stable ingredient in the Irish diet ever since their introduction in the late 17th century, but many other crops are grown too - including barley and oats. Additionally Ireland produces some excellent livestock - in recent years, beef has risen greatly in popularity,, but lamb and pork are both traditionally popular. As you might expect, given Ireland's long coastline and seafaring tradition, seafood is also forms an important part of Irish cuisine. Oysters are very popular - and oysters are a popular event around the country, where they are eaten with Guinness. Ireland is also known for Dublin Bay prawns (langoustines) which are actually a miniature type of lobster. Popular fish include cod and salmon. Irish potato bread (also known as "fadge", "potato cake", "potato farls", and "slims" - as well as informally as "tatie bread") - Unleavened bread made using potatoes instead of much of the wheat flour. 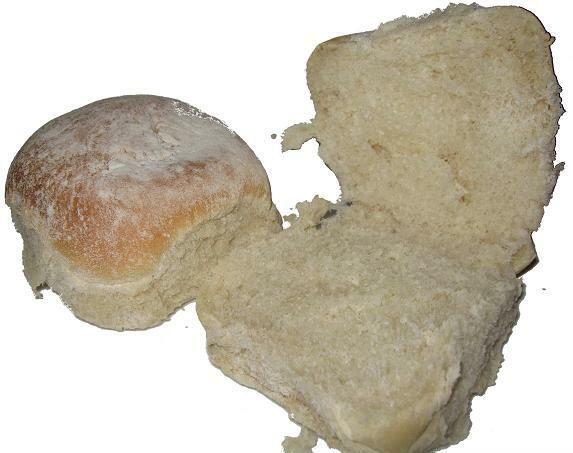 Blaa - A very soft white bread roll, covered in layers of flour, that is unique to Waterford. Irish stew (Irish: Gaelic: Stobhach Gaelach) - This is probably the most famous Irish dish in the world - it's a stew made from lamb or mutton, with potatoes, onions and parsley. Some cooks recommend the addition of barley, root vegetables such as carrots, parsnips or turnips, or even Guinness. Irish emigrant communities around the world have taken this dish with them and adapted it to local conditions - for example, beef may be substituted for lamb, or paprika added to spice the dish up! Coddle - Pork sausages and bacon rashers are quickly cooked. Then, potatoes, onions and perhaps barley, are added, and slowly cooked using the stock from the meat. Bacon and cabbage - A traditional Irish dish. Although, Irish Americans often used corned beef, this is actual an adaption of the original bacon and cabbage recipe. beef and cabbage. Champ - Mashed potato with chopped scallions (green onions), milk and butter. Colcannon - Mashed potato with kale, cabbage or wild garlic. From New York Times, USA Today, and Globe and Mail bestselling author Patrick Taylor comes ten new short stories in the popular An Irish Country series paired with more than 140 delicious Irish family recipes in An Irish Country Cookbook. The ten short stories starring Dr. Fingal Flahertie O'Reilly, Dr. Barry Laverty, and the colorful village of Ballybucklebo will delight fans of the series and new readers alike. 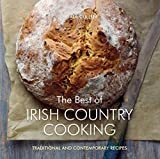 From starters to sauces, Irish soda bread to Christmas dinner, these memorable dishes will bring a taste of the world of the Irish Country books to every kitchen. More than 300 traditional dishes, each recipe is complemented by tips, tales, historical insights and common Irish customs, many of which have been passed down from one generation to the next through the greatest of oral traditions. Safe-keepers of Ireland's tastiest and most precious culinary traditions, grannies from all across the Emerald Isle have long kept the secret recipes that define Irish cooking. Classic foods such as brown bread and potato soup have been passed down from generation to generation, and faithfully served by grannies in thatch-roofed cottages and local village pubs for years. Bring back the memories and comfort of your grandmother's kitchen table with Our Irish Grannies' Recipes, perfect for family gatherings, St. Patrick Day celebrations, or Sunday lunches with friends. Ireland's rich culinary heritage is being rediscovered. Irish food has always been thought of as rustic and filling-hearty comfort food to get you through a cold winter - but a new strand of cooking is emerging, still based on Ireland's rural heritage and favorite ingredients, but with a modern twist. A new wave of artisanal producers is bringing a variety of high-quality ingredients to a wider market-from the freshest wild salmon and oysters to award-winning marsh-fed lamb, farmhouse cheeses, and whiskey. Delis, supermarkets, and gourmet food stores around the world are stocking and celebrating Irish fare for the first time, and the movement for seasonal Irish home cooking is gaining momentum. Written by accomplished Irish food writer Nuala Cullen, The Best of Irish Country Cooking takes a new look at traditional Irish fare. It is filled with mouthwatering, user-friendly recipes, seasonal cooking suggestions, festive Irish traditions, and gorgeous scenes of Ireland's unspoiled landscapes. Seafood and vegetables feature heavily alongside time-honored favorites like Irish Stew, Pork and Apple Pie, and Christmas Pudding in the book's six chapters (Appetizers, Soups, Mains, Sides and Salads, Desserts, Baking, and Preserves). There's even an Irish cocktail recipe dating back to the 18th century! With lush photography and over 100 traditional, contemporary, and seasonal recipes, The Best of Irish Country Cooking is an essential guide to classic Irish cooking today. Providing a thorough introduction to the art of Irish cookery, a treasure trove of more than 250 traditional recipes includes hearty, flavorful, and wholesome dishes that range from Watercress Soup to Apple Amble Tart. 25,000 first printing. Tour. Bring the magic of Irish cooking to your own kitchen with the Irish Cooking Bible-more than 120 delicious recipes for simple country fare. Start with memorable breakfast dishes, such as Raisin Oat Scones, Corned Beef Hash or Irish Whiskey Cured Salmon. Or savor pub food classics like Lamb and Vegetable Pie, Beef Stew and Mussels in Beer Broth. You'll find everything from hearty soups and homemade breads to simple salads, sides and desserts. More than 80 full-page color photographs. Pubs in Ireland are the cornerstone of their communities, relaxed places where locals and visitors can experience the best of traditional Irish hospitality. Many pubs have also become the place to go for a great meal, with a choice of both traditional and contemporary dishes. In recent years Irish cooking has been transformed, with skillful cooks making the most of wonderful fresh local produce to create delicious new dishes and giving a twist to many classics. This collection includes the best of both worlds - with best-loved favorites such as Irish Stew and Split Pea and Ham Soup and also newer recipes, like Scallop Chowder or Oatmeal and Raspberry Cream to set your taste buds tingling. So just open this book to enjoy the best of traditional and contemporary Irish pub cooking. CLASSIC TRADITIONAL AND CONTEMPORARY RECIPES: The best of traditional and contemporary Irish cooking for all occasions. St. Patrick's Day, hearty family suppers or special celebrations, there is a perfect, well-loved recipe for every get-together. Appetizers & Snacks: Potted Crab, light salad with Ireland's famous seafood and hearty winter soups. Entree: Traditional dishes like Irish Stew or Fisherman's Pie as well as more contemporary meals whole baked sea trout. Vegetables & Sides: No Irish meal is complete without delicious sides like soda bread or red cabbage. Desserts & Drinks: The best of Irish baking including Bread Pudding and Rhubarb Crisp as well as delicious traditional drinks like Irish Coffee or a Black Velvet. RECIPES & PHOTOS: Recipes for every mood and occasion and beautiful photos for each recipe will keep enthusiasts excited to continue to try new Irish recipes every week. 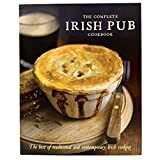 MAKES A GREAT GIFT: Birthdays, holidays, Mother's/Father's Day and more, The Complete Irish Pub Cookbook makes a great gift for any occasion. If you enjoy hearty and savory meals. Things like slowly cooked stews and roasted potatoes. These Irish meals will your warm your heart! Get your copy of the best and most unique Irish recipes from Chef Maggie Chow! Rustic is the best word to describe the hearty and savory dishes of Ireland. These dishes are classical and authentic Irish foods. They are delicious, they are savory, and they are hearty. These meals will not only appease your taste buds they will warm your soul and brighten your day. These meals were meant to be eaten after a long day. They were meant to be enjoyed with family. They were meant for YOU to try and enjoy. The Easy Irish Cookbook is a collection of the best and most delicious stews and savory pie recipes you will ever learn. After you try one of these stews you will absolutely look forward to dinner after a long hard day. Make sure you go to grocery store and pick the freshest carrots and potatoes you can find because these Irish recipes were made for freshly harvest ingredients. Make sure you enjoy these meals with your families because that is the best way to eat. Like deep and beautiful Irish poetry these recipes will speak to your taste buds! Pick up this cookbook today and get ready to make some interesting and great tasting Irish recipes!